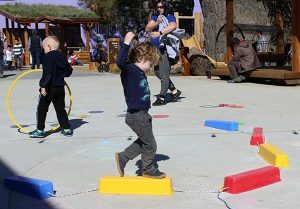 We’ve got bite-sized articles for your busy life on early childhood development, play-based learning, and tips for raising creative, inquisitive learners. If you like what you read, sign up and share. We publish articles monthly on the 1st and 15th. Illuminating Children’s Illustrations: Why Do We Get Better At Drawing As We Get Older? Parents know this to be a simple fact of life: Children’s drawings get better as they get older. But how exactly does this happen? And why? Drs. 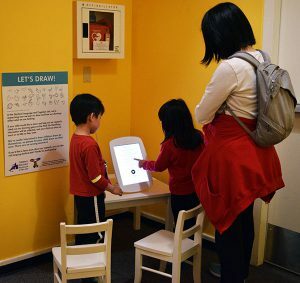 Bria Long, Michael C. Frank, and Judy Fan are researchers from Stanford’s Language and Cognition Lab and they’ve been conducting research at Children’s Discovery Museum to explore how children’s drawing skills are related to their cognitive development. We checked in with them to see what they’ve learned so far. The findings are fascinating! Do I Need to Worry About Concussion? Head injuries are common at all ages in childhood. Some are preventable with activity modification, some are impossible to prevent. This month we hear from Dr. Angela Lumba-Brown who talks about the newest guidelines from the Centers for Disease Control and Prevention on diagnosing and managing head injuries in children. Dr. Angela Lumba-Brown is the lead author of the CDC guidelines and Clinical Assistant Professor of Emergency Medicine and Pediatrics at Stanford University. Curiosity is a Curious Thing! 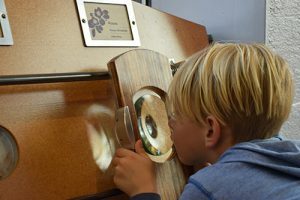 We were excited to learn how some researchers define curiosity in a much more nuanced way than we often think about it. It’s fascinating to see how the “State of Curiosity” study breaks down curiosity into four dimensions with a nod to how curious people drive innovation in the workplace. We then dive into tips we can all use to nurture curiosity in children.